A mining company were looking to mine metallurgical coal near Whitehaven, to supply both the domestic and international steel industry. 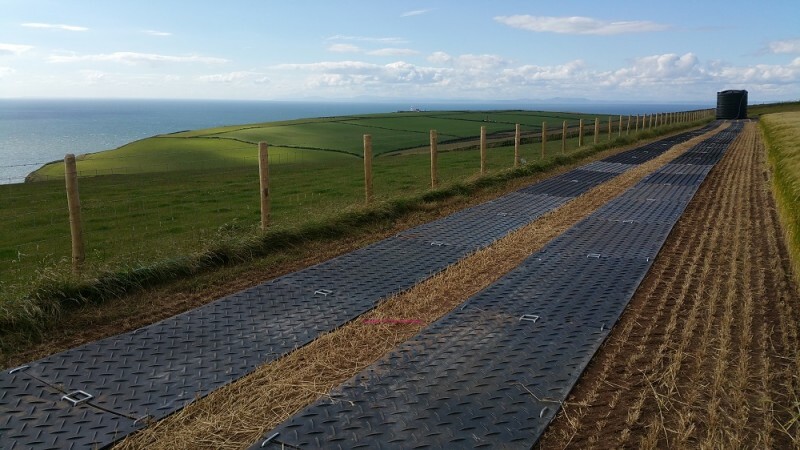 They needed safe, cost-effective access across agricultural land to the on-shore site, without damaging the fields or risking vehicles getting stuck in mud. 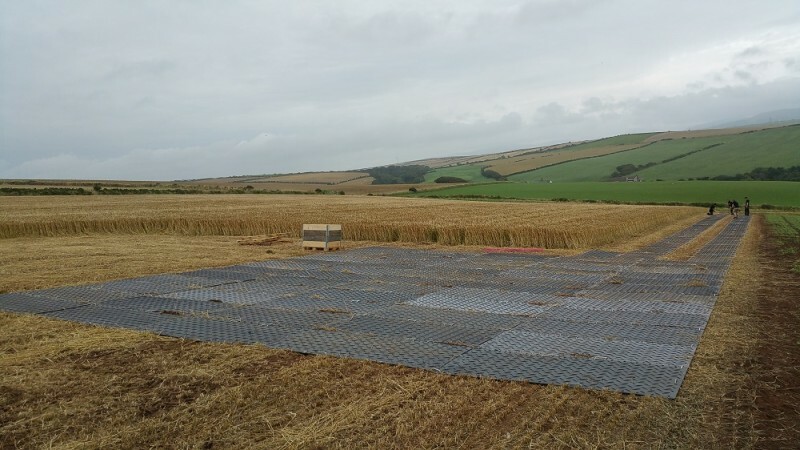 The company hired a total of 320 MultiTrack mats from Ground-Guards over a 21 week period. 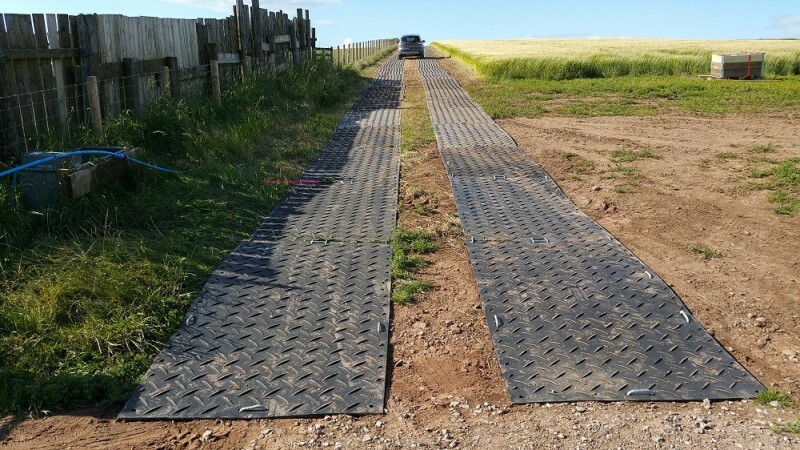 MultiTrack mats are the ideal choice as they are lightweight and easy to lay, enabling a twin trackway and compound area to be built quickly and efficiently. 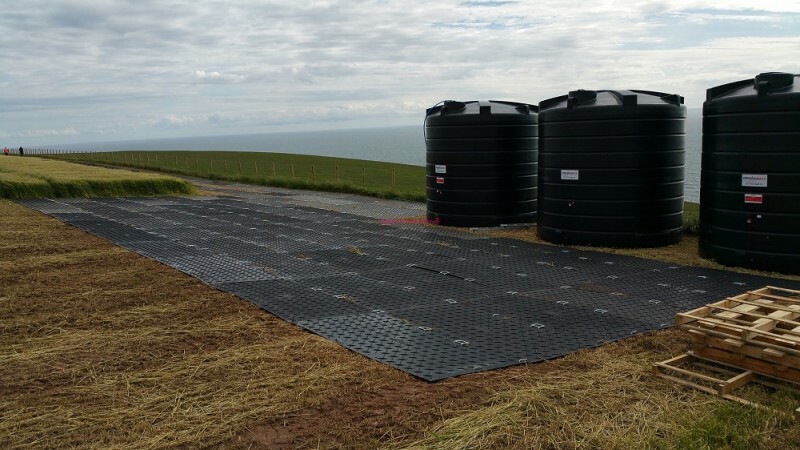 This allowed easy on-site access for their drilling rigs and commercial vehicles. A neat and tidy trackway and site compound – strong, reliable, robust – was built in next to no time. The farmland it ran across was undamaged. The company found MultiTrack to be a far superior product to the wooden boards they had used in previous years.